Nirvana Navarro grew up in a small town in Imperial Valley, and never considered pursuing a college degree. Her future plans were to move to México to be with her extended family, find a job and get married. 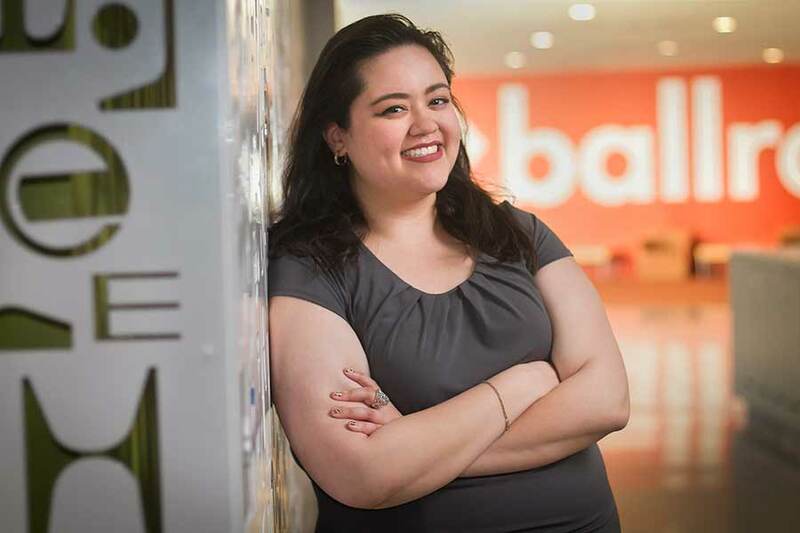 Navarro’s fate changed when her high school teacher urged her to prepare for college entrance exams and set her sights high. In 2017, she graduated from UC San Diego as a Chancellor’s Associates Scholar, becoming the first in her family to earn a four-year degree. “Coming to UC San Diego has been one of the best decisions I have ever made,” said Navarro, who is one of more than 600 local students who have benefitted from the undergraduate scholarship program. Created in 2013 by Chancellor Pradeep K. Khosla, the Chancellor’s Associates Scholars Program is designed to increase educational access for local high-achieving students. On Monday, Chancellor Khosla welcomed the new freshman cohort at a special event held at the Jacobs Center for Neighborhood Innovation. The program includes admitted freshmen from Gompers Preparatory Academy, Lincoln High School and The Preuss School UCSD as well as students from community-based organizations and federally recognized Native American tribes. This year, the program expanded to include students from two new partner schools: Hoover High School, located in City Heights, and e3 Civic High, a charter high school located in the downtown library. The program covers students’ tuition, on-campus living expenses, books and more—essentially a full scholarship. 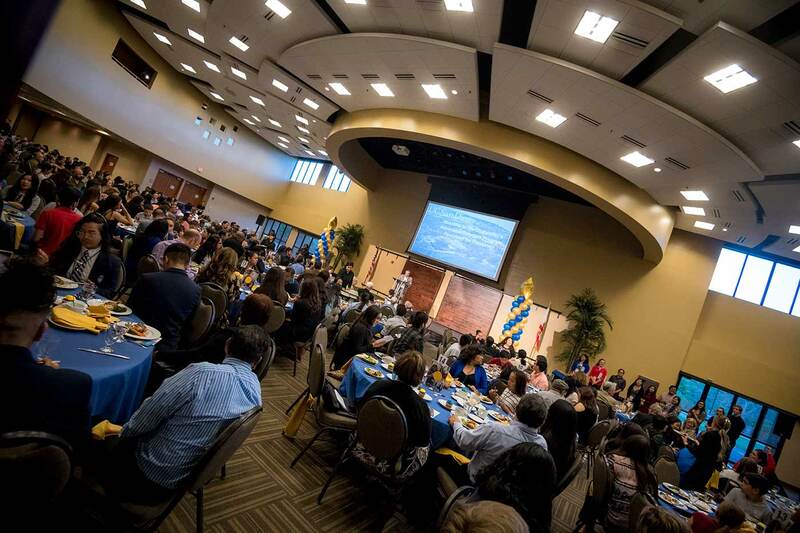 The scholarship is made possible by funding from Chancellor’s Associates as well as support from the University of California’s Blue and Gold Opportunity Plan, among other financial aid. Chancellor Khosla welcomed new freshman scholars and their families at a special reception on Apr. 23, held at the Jacobs Center for Neighborhood Innovation. More than just a scholarship, the program supports students—many of whom are the first in their families to attend college—starting from the summer before their first quarter through graduation by providing a wide range of resources and opportunities to help them succeed academically at UC San Diego. The program includes a summer transition program, leadership and communication seminars, graduate school advising, peer and faculty mentoring, and more. After graduating in the top five of her high school class, Navarro remained with her family for several years and attended Imperial Valley College. After being accepted to UC San Diego as a transfer student, she received a letter notifying her that she had been chosen as a Chancellor’s Associates Scholar. Yet, moving from a small town to a big city and being away from her family proved difficult. She explained that what made the difference is having mentors like program staff member Karen Van Ness, who convinced her to persevere. Navarro’s experience in the program sparked an interest in supporting students on their academic journey. Her future plans include a career in education, with a focus on working with students who strive to be the first in their family to attend college. She is currently a fiscal assistant in UC San Diego’s Business Office of Student Retention and Success. “I want to establish a career in education because it has played a huge role in changing my life,” said Navarro. 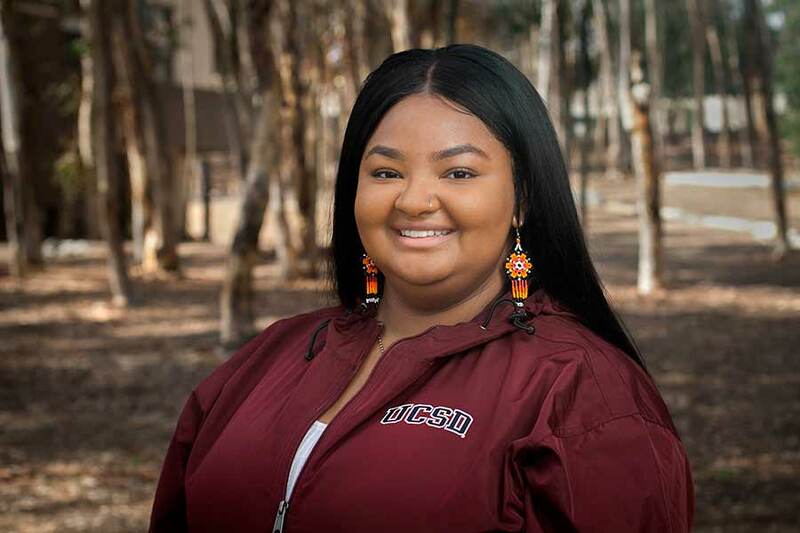 Maria Triplett, a sophomore at UC San Diego and a Chancellor’s Associates Scholar, also felt like she was in a different world when she arrived at UC San Diego as a freshman. She grew up in southeast San Diego in a single-parent household and attended Gompers Preparatory Academy. Triplett is the first in her family to go to a four-year university and was excited to have the chance to attend UC San Diego without putting significant financial burden on her family. In addition to providing financial and academic support, Triplett explained that receiving the scholarship has inspired her to set bigger goals. Her dreams are wide reaching. Triplett’s first aim is to improve the quality and accessibility of medical care for underrepresented and low-income pregnant women. “I have family who have been affected by inadequate health care because of their personal background and socioeconomic situation,” she said.